Last week the Drexel community finally got to see the product of the Drexel Players’ last couple months of work as they close the 2012-13 season with “The Grapes of Wrath.” Preceded by two lighter performances, “The 25th Annual Putnam Country Spelling Bee” and “To Fool the Eye,” the adaptation of John Steinbeck’s classic is a much graver production and a powerful closing to a successful season. This particular stage adaptation was created by Frank Galati and enriched by original music from Michael Smith. Having been originally produced on Broadway, the show won a Tony Award in 1990. It is not surprising that such a solid rendition was chosen to create a lasting impression of the company near the end of the season, as well as to be the inaugural production of the brand-new URBN Annex Black Box Theater on 34th and Filbert streets. Following up their productions of “The 25th Annual Putnam County Spelling Bee” and “To Fool the Eye,” the Drexel Players put on a show based on John Steinbeck’s Depression-era novel, “The Grapes of Wrath.” This stage adaptation was created by Frank Galati with music by Michael Smith. The power of the evocation naturally has to do with the substance of Steinbeck’s novel — that is, the painful burden of caring for one’s impoverished and underprivileged family during the Dust Bowl of the Great Depression in 1938. Yet the age of the actors and the fact that the production was staged at a college theater gives it another dimension, one of a coming-of-age narrative. Although it is obviously not the case in the novel, it seems like we can create an alternative reading based on the vivacity and youthful rebelliousness that actor Alex Cummiskey added to the character of Tom Joad, the leader of the family, as they make their crossing to California. Another powerful aspect of the shift in reading the characters onstage is the focus on Ma Joad, portrayed by Alexis Pozonsky. Even though her nature as the fabric that holds the family together is present in the novel, it seems like Pozonsky’s powerful interpretation focuses much more on this feature. 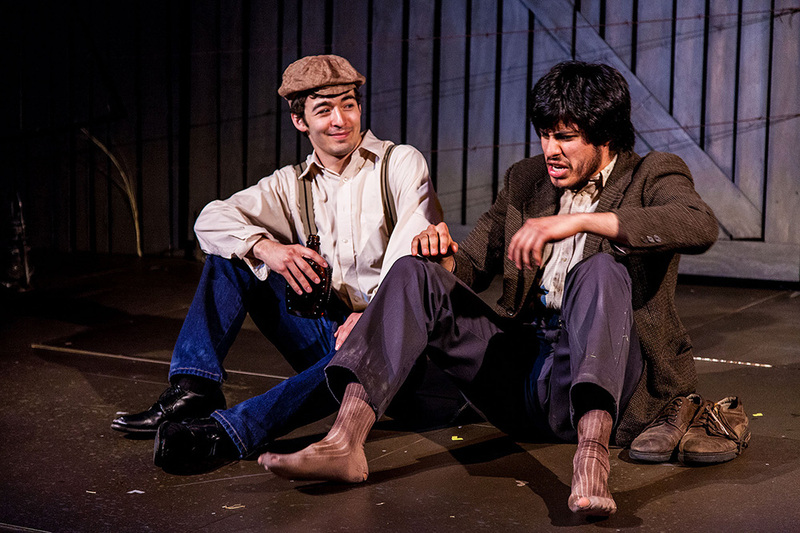 However, it is not only the story of the Joads and director Nick Anselmo’s reading of it that makes “The Grapes of Wrath” an exquisite production in the Drexel Players’ repertoire. The original music by Michael Smith, using themes and based on the characteristic harmonies of the South, definitely adds a ton to this rendition of Steinbeck’s story. In fact, the beginning of the play has so much music, realized outside of the storyline, that the audience would think it rather a musical. Short interludes and musical themes make their appearance throughout the play as well, using music as the suggestion of the progression of action. It is a purely cinematic method, and its use onstage makes the play smooth and pleasurable to watch. As it happens, viewers should not mind the show’s two-and-a-half-hour runtime but should instead let themselves become engrossed in the characters’ lives. 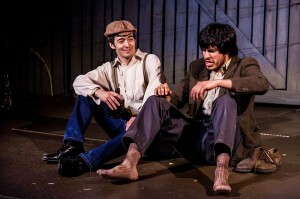 For that reason, “The Grapes of Wrath” is truly a top-notch production right on Drexel’s campus. You have until May 25 to make your way to the Black Box Theater and support the Drexel Players in their stage endeavors.